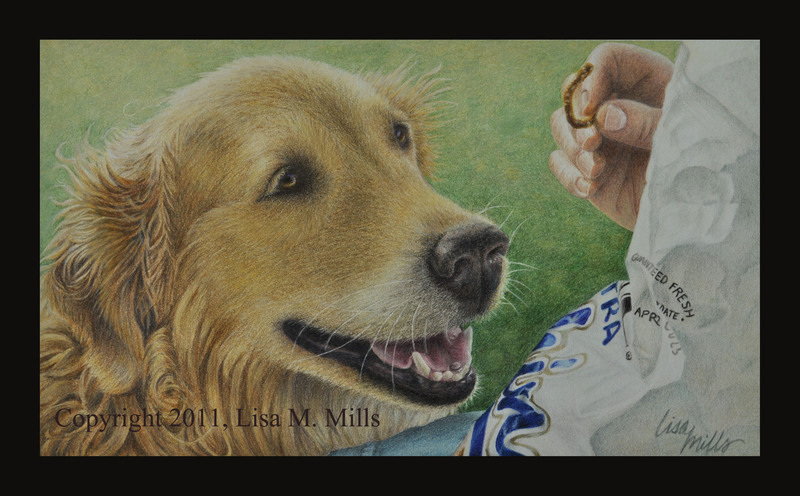 The first one is Lucy, my Golden Retriever and is titled “I’m Not Too Proud to Beg” (Copyright 2011, Lisa M. Mills). She’s doing what she does best…looking for a handout. 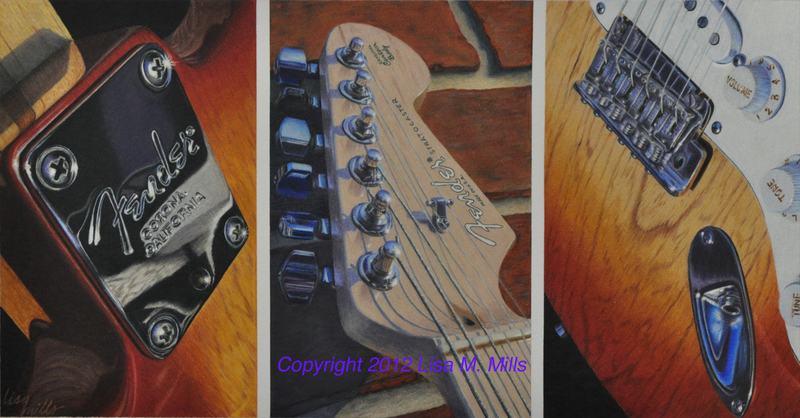 The second is called “Double Helix” (Copyright 2011, Lisa M. Mills). 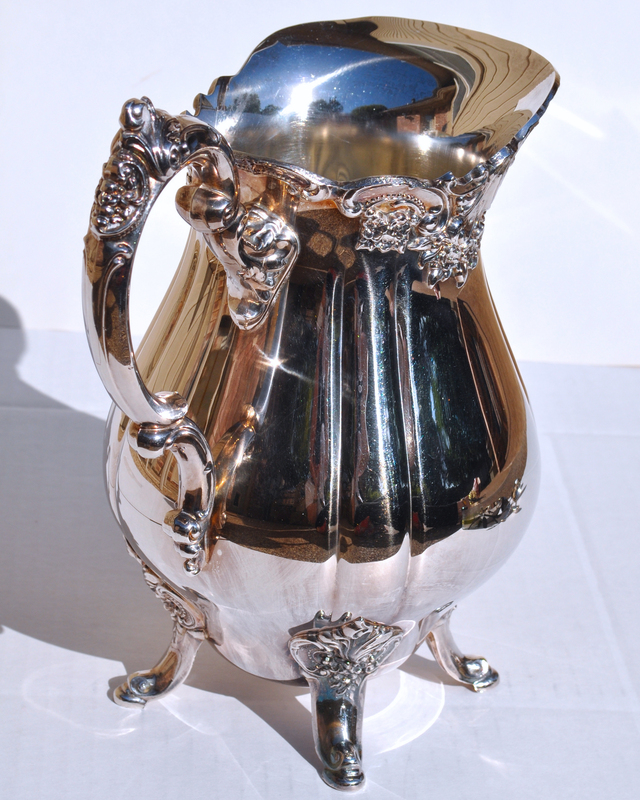 It’s titled such because of the strange reflections in the crystal that resemble a double helix formation. I was actually going to enter only Lucy, but decided at the last minute to enter the other work which started out as an instructional piece. 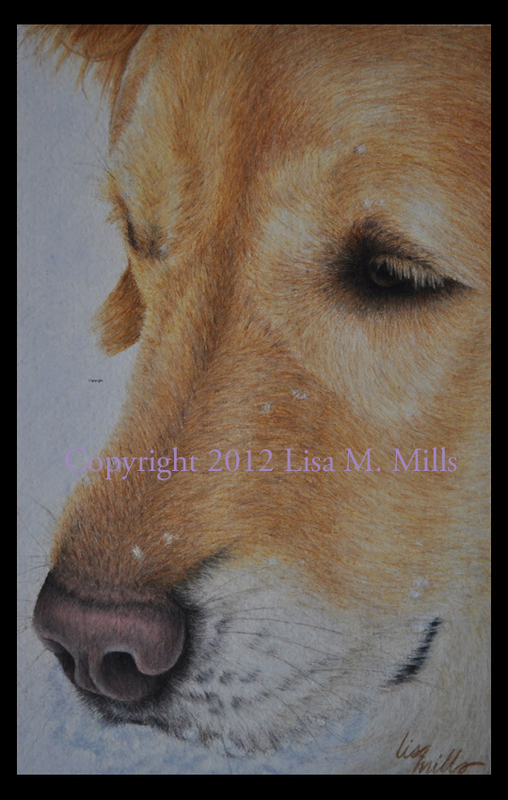 It was in progress when I learned about the CPSA show, so I put the piece on hold to work on Lucy. I was able to enter Double Helix because my photo reference was my original photo and I had not received any feedback from my instructor on the piece (you cannot collaborate on works entered in this show). 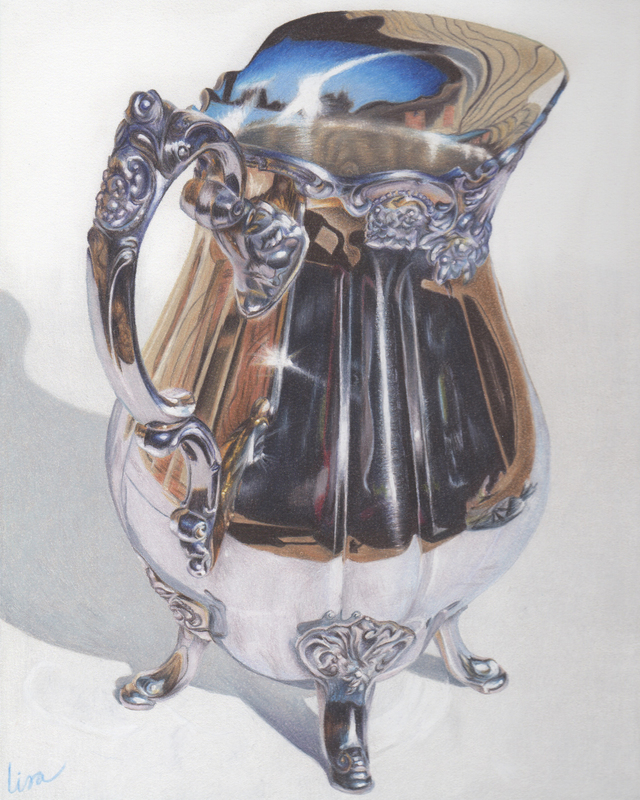 Both are entirely colored pencil and are done on Stonehenge paper. The jury was supposed to be finished making their selections on Tuesday, April 26th, but for some unexpected reason, the selection process was extended to Saturday, April 30th – a long four days. This is the first major competition I’ve entered, so I’m really nervous. I’m also prepared for many “no’s” before I finally get a “yes.” I guess I’m not too worried about major competition, as the piece I’m working on now is going to be entered in the Federal Duck Stamp Art Competition this summer. That competition has been going on for nearly 100 years and the winner’s artwork is reproduced on every Federal Duck Stamp purchased by hunters nationwide. 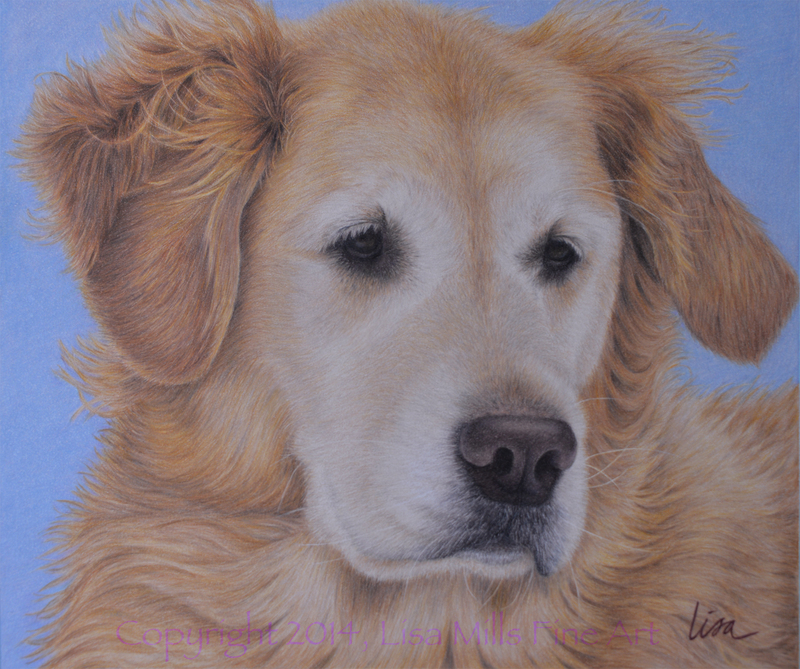 The fee for entering the show goes to help wildlife conservation – a good cause in my book. I’ll keep you all posted on that as it goes forward. So, while I wait, I have updated the blog here and added some additional pieces to my gallery. 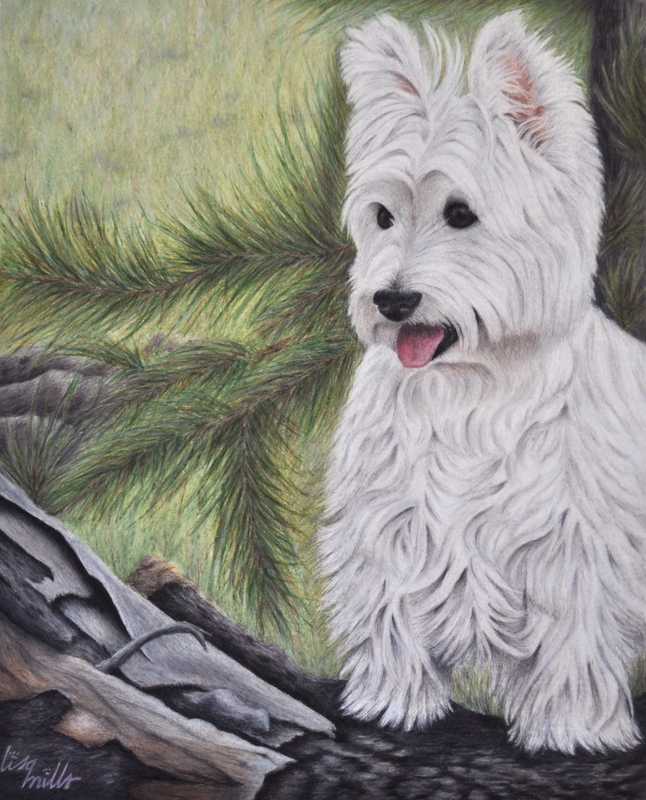 I won all three Challenge Competitions for my colored pencil classes and those pieces are on the gallery page as well. I learned a great deal while taking those classes and am very grateful to my instructor, Alyona Nickelsen who is an amazing teacher! Take a look at the Gallery (click on the link on the top right). 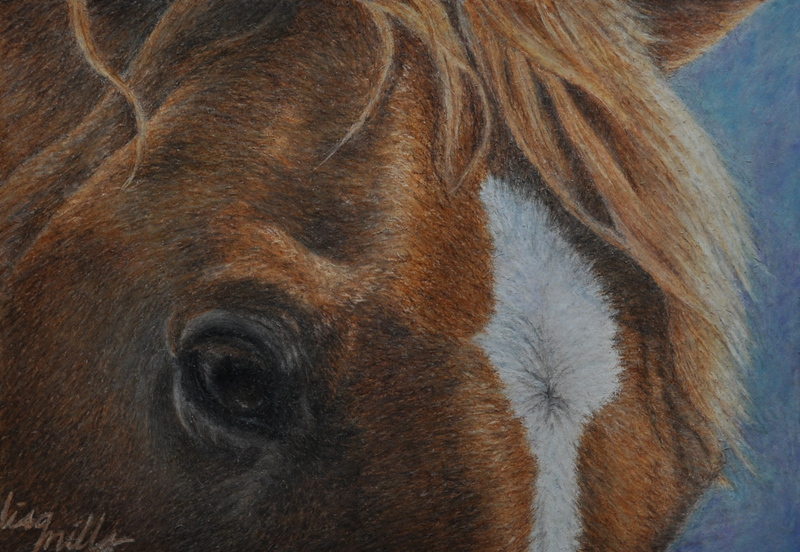 Going forward, my artwork will focus on animals and other elements in nature. 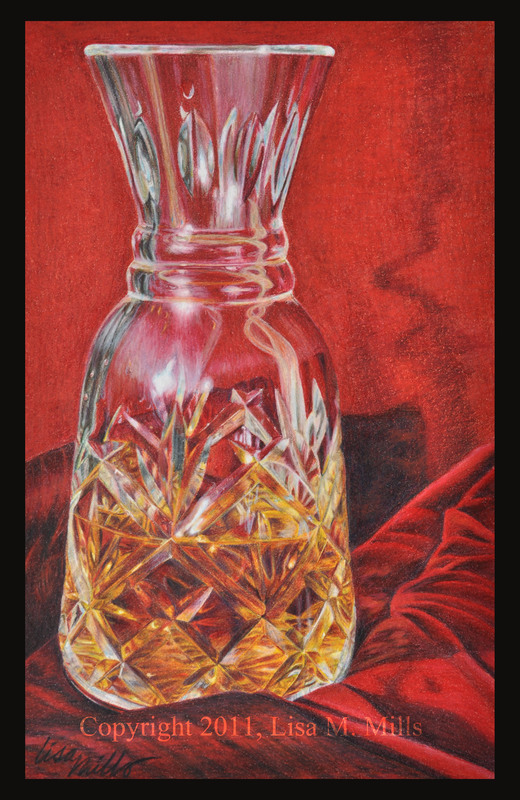 I might throw in the occasional still life since that was the focus of the colored pencil classes.